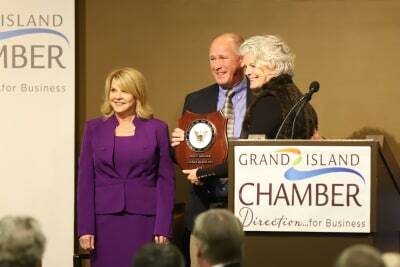 Our annual meeting is Grand Island's premier business event. 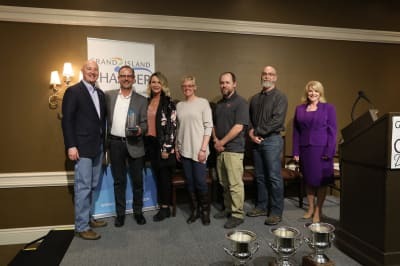 This year, we honored recipients of the Hall of Fame award, Small Business of the Year, the Outlier Award and the Richard Good Distinguished Service Award. 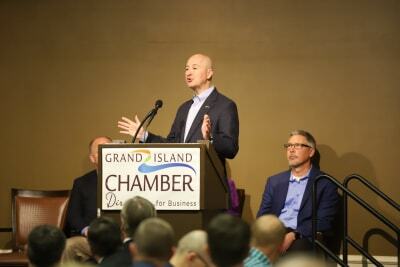 In addition, we heard from Nebraska Governor Pete Ricketts. Though his banker thought the idea was far-fetched, Joyce Hornady was more than optimistic of the idea. Hornady Manufacturing started operation in 1949. 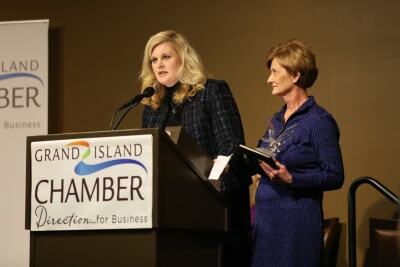 Since then, the Grand Island-based company has grown into one of the preeminent bullets, ammunition, reloading tool and accessory design manufacturers worldwide. 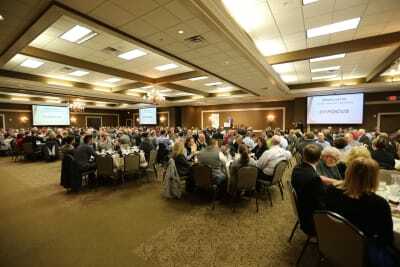 In October of 2018, the company opened Hornady West – its new, 150,000 square foot facility on West Old Potash Highway that serves as its main distribution center and home for stage-end processes. 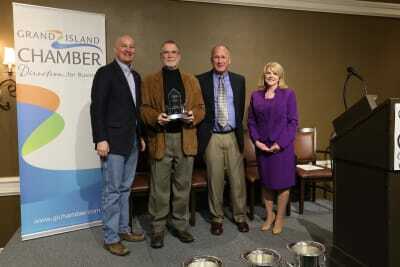 The Hornady family, namely Steve and Jason, have developed a strong reputation both as employers and philanthropists. Eustis Body Shop began in 1979 as a one-shop enterprise in Eustis, Nebraska. 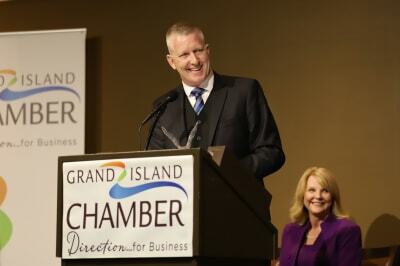 Owner Doug Keller now has locations in six Nebraska communities. 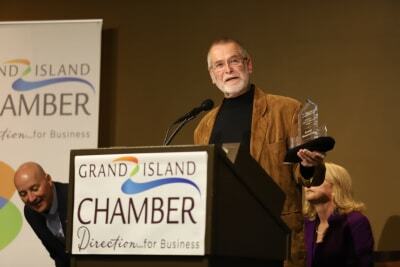 The Grand Island shop is located on West Old Highway 30 and is managed by Doug Miotke. Eustis Body Shops have the best auto body repair equipment and technicians who are able to perform repairs in a timely manner. Grand Island native Jeremy Jensen was inspired to run for Mayor in 2014 despite not having prior political experience. However, he needed just one term to leave a meaningful impact. 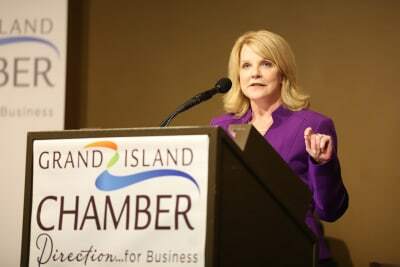 Jensen displayed an honest and professional leadership style while improving the city’s finances. In his final year, Jensen helped support an effort to pass the half-cent city sales tax initiative. 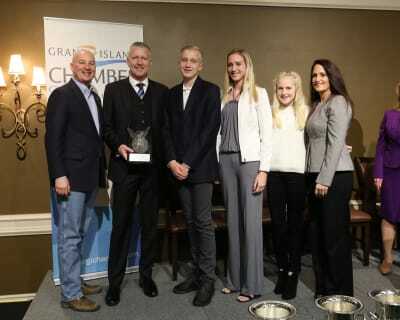 Jensen, a husband and father, did all this while also growing his business, Helix Wealth Advisors, and serving as head boys soccer coach at Grand Island Senior High. Bill Marshall established Five Points Bank in 1971, and helped it become one of Central Nebraska’s strongest banks with over $1 billion in total assets, before his passing in 2016. 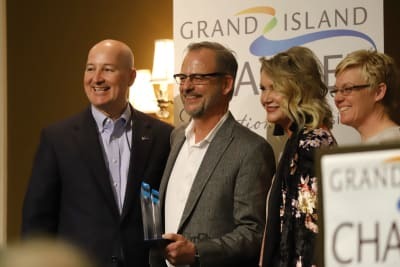 Bill was instrumental in numerous projects that supported the growth and betterment of Grand Island, a mindset that is shared by his wife, Sharon, and family. The Marshall Family played a key role in the development of the Heartland Events Center and College Park. 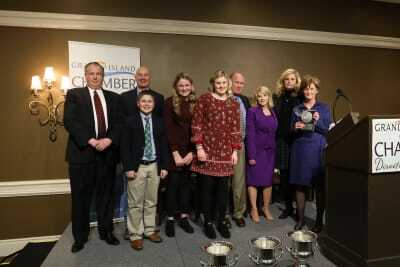 Most recently, the Marshall Family donated $300,000 to the Memorial Stadium at Grand Island Senior High School. 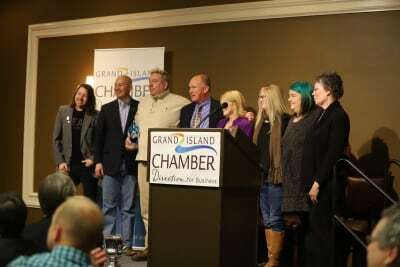 Hear Grand Island is a 10-week free concert series featuring Nebraska musical acts. The concerts take place on Friday evenings in downtown Railside during the summer. 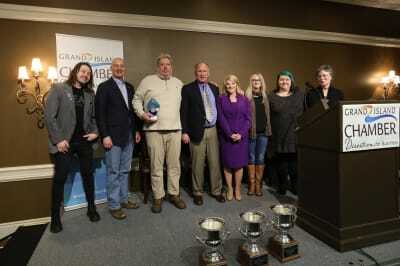 The festival was founded in 2016 and has quickly grown into one of Central Nebraska’s most popular musical events, helping Grand Island’s tradition of being an enjoyable place to work and live.